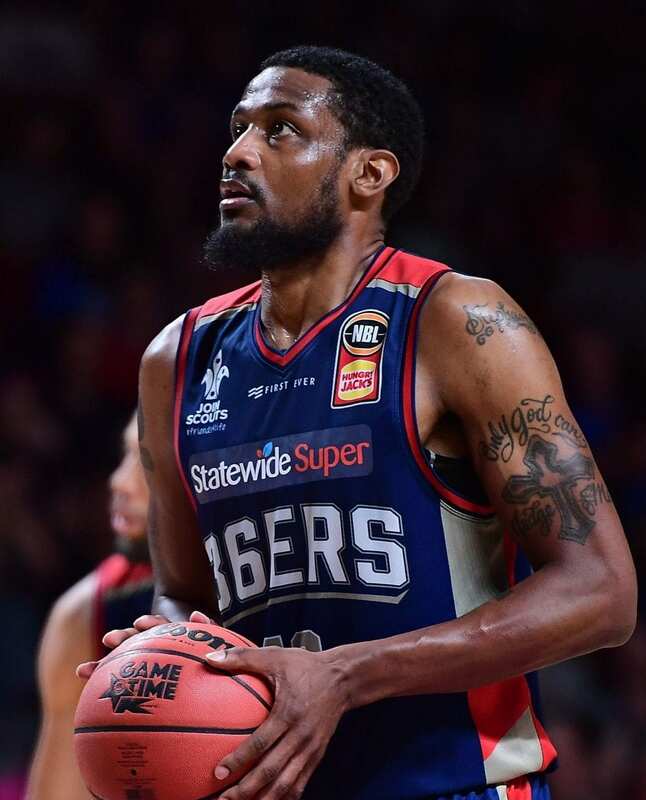 Anyone who has experienced calf difficulties knows it can be one of the most fickle parts of the human body, and Adelaide 36ers import Ramone Moore found that out the hard way when his betrayed him the weekend before last. It was the second time Moore had suffered the injury recently and this time it ruled him out for the remainder of the regular season. 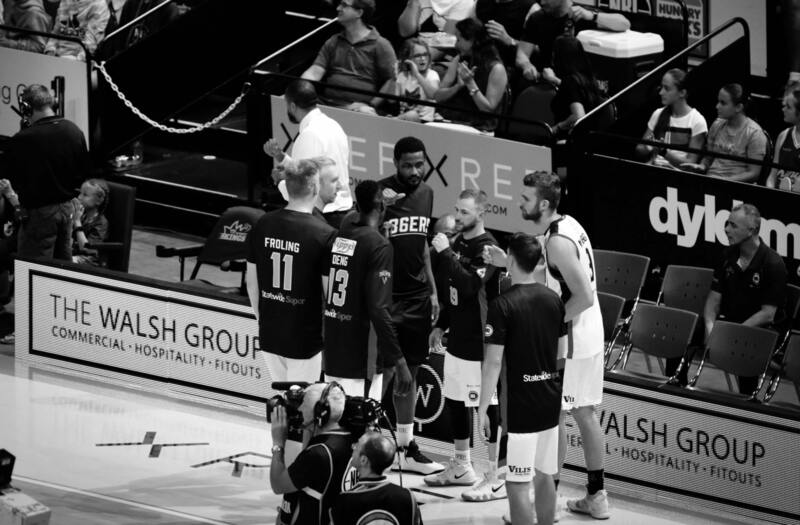 He was forced to watch from the sidelines as his teammates swept aside both Perth and Sydney last round, lifting in his absence and mounting a charge towards the playoffs. The pair of barnstorming wins has put Adelaide back on track to make the playoffs, where Moore now hopes to stage his return. But with just four rounds remaining, the American’s deadline is as demanding as his rehab. There’s no easy way back, and he’ll need to put in endless hours of tedious grunt work to regain his health in time. But Moore knows it’s a more than worthwhile mission, especially because his teammates are as committed to him as he is to them. 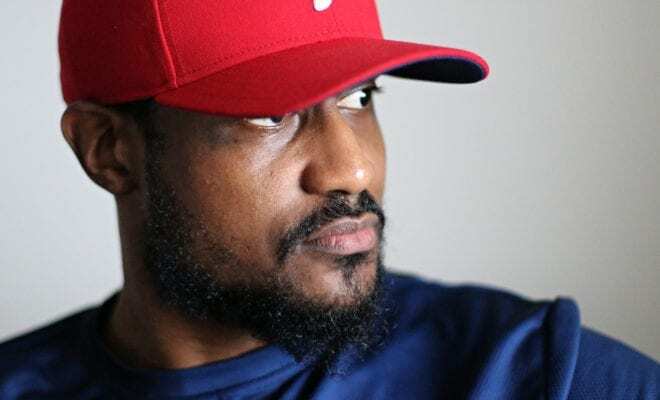 As hard as he’s working to make a return, his primary concern is ensuring his team continues to win, and he’s helping his teammates in every way he can to make sure that happens. “If your teammate is on the ground, you pick them up, no matter what,” Moore said. If worse comes to worst, Moore would rather support a championship team from the sidelines than force a premature return and hurt his team’s chances of winning it all. He’s travelling with the team everywhere they go, always in guys’ ears, offering perspective wherever he can. “I’m here [travelling with the team] for a reason,” he said. Moore’s steady guidance now extends to the man brought in to replace him, Shaun Bruce, a handy guard who has previously spent time with Cairns and Brisbane. Bruce, by a stroke of sheer luck, was training with the Sixers before Moore went down. As a result, he already knows Joey Wright’s playbook and has built a promising level of chemistry and camaraderie with his new teammates. Better still, Bruce has Moore’s full support. “Joeys doing a great job of not just throwing him into the fire,” Moore said. The Sixers stand every chance of making the postseason without Moore, but even the boldest Adelaide optimist would hesitate to suggest they’ll go the way without him. And while making the playoffs is the primary motivation behind Moore’s push to make it back, he also simply can’t stand not playing the game he’s made a life out of. Growing up in Philadelphia, there was a basketball court directly across the road from Moore’s family’s apartment. He would finish school, fling his bag into his room, and head back outside to shoot hoops until the sun went down. Even then, his mum would often have to yell out to him before he’d finally return home. After a lifetime of hooping, it isn’t easy to give it up, not even for a few weeks. Thankfully for Moore, he has his kids to keep his spirits up while he’s stranded on the sidelines. They still live in the US, but Moore talks to them all the time. The difficulties associated with having kids on the other side of the world are softened when he gets excited messages from them between calls. Moore’s eldest daughter, Simone (11), likes to remind him that she’s still his number one fan. She recently surprised him with a photo of herself wearing the same number 10 that he plays in. And as Simone pursues some hoop dreams of her own, Moore had some sound advice when she began her basketball journey. As welcome a distraction as his kids are, Moore focus in making it back onto the court is unwavering. Getting healthy again has involved a mixture of cycling, jogging, core strength exercises and strengthening his leg and hips. He also has various medical and training staff working by his side. Each one of them is optimistic that this story will have a happy ending, and Moore is determined to prove them right.